Rugging up for pit action at the Winternationals at Willowbank Raceway. THE smell of oil and burnt rubber and the sound of 8000 horsepower in the air at Willowbank Raceway could have only meant one thing: Winternats. For the 25th year in a row, the Winternationals, the biggest drag racing event in the country, returned to Ipswich over the weekend. The competition saw drivers from across the country, as well as some from as far afield as the United Kingdom, willing to hurl themselves and their vehicles down the track at speeds up to 500kmph. Deservingly the weekend attracted huge crowds to watch the drivers and soak up the carnival atmosphere. There was fierce competition on the track with national and track records broken. The Queensland-born American driver Rhett Lougheed ran the fastest pro-stock motorcycle pass in Australia at 305.05 kmph on Saturday. 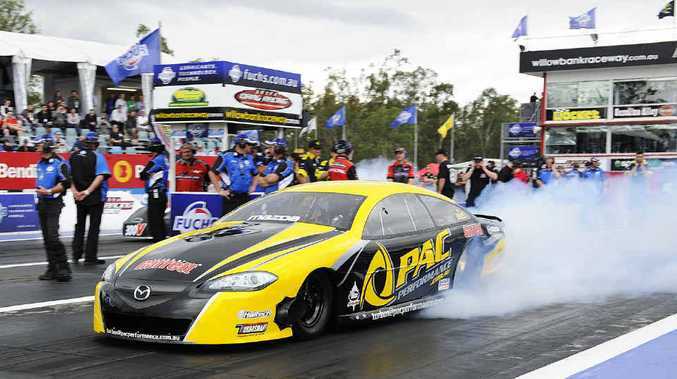 The Winternationals have been running for 46 years, having moved to Willowbank from the Gold Coast in 1987, and has been one of the premiere events on the Australian drag racing calendar for the last 20. 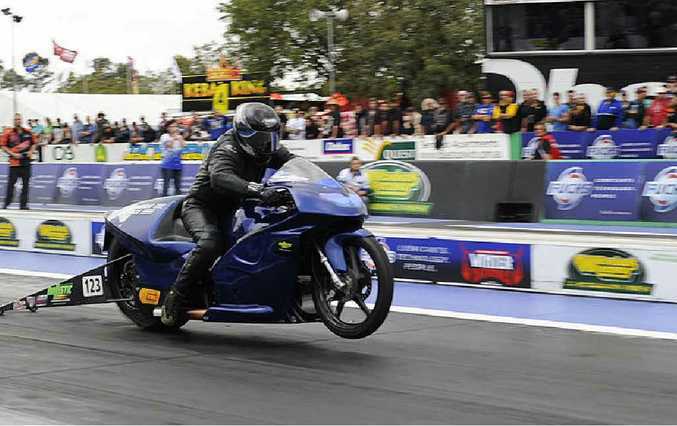 It has even eclipsed the Sydney-based Australian Nationals as the premier event on the drag racing calendar. Willowbank Raceway director Steve Bettes said the event had been a huge success. "We're looking at a crowd similar to last year, around the 35,000 mark," he said. "I think the weather might have kept some away, but it's been a great weekend. "We always want everything to go to plan, but this year, I think it's gone even better than we planned. "It's been so well organised, it's been a special event with some special performances on the track." 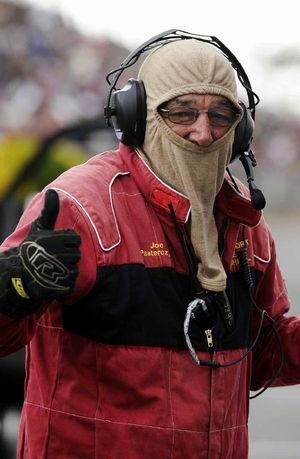 Mr Bettes said the Winternationals had become one of the biggest events in Ipswich's calendar. Bike riders rev up the crowdss on Saturday. "It's the biggest drag event outside the United States these days and that's a real achievement for us. 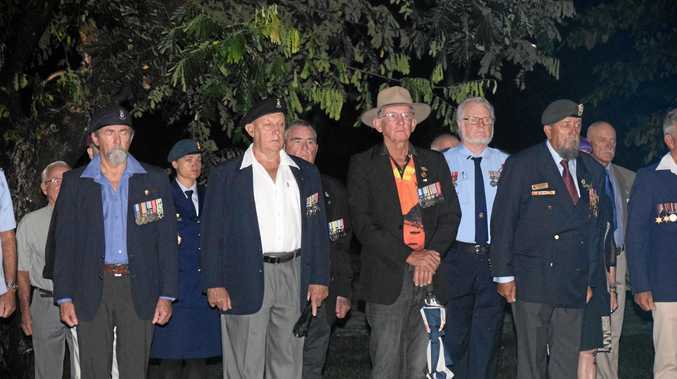 "It's a credit to the state of Queensland and the city of Ipswich. "It just keeps on growing every year; and if we can help that and add new facilities, I can't see why it won't keep growing." The Winternationals will continue today at the Willowbank Raceway. Races will start back up from 8.30am and run throughout the day until finals at 2.25pm. 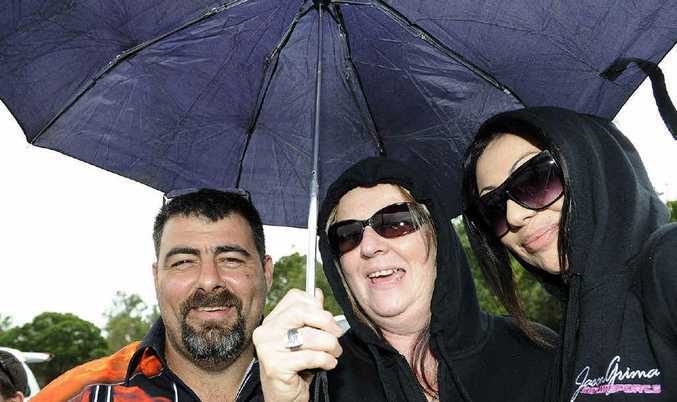 James Grima, Julie Green and Georgia Gaitanidis at the Winternationals at Willowbank Raceway.